VMware Front Experience: Great flings and a contest! Good examples for flings are the VMware Tools for Nested ESXi and the ESXi MAC learning dvFilter. And recently two new great flings were published that caught my attention. Confession: I have not only been a VMware admin for many years, but - even longer - a Citrix admin working with XenApp (and its predecessor products way back to Citrix Winframe in the 1990s). In contrast to the younger VDI (Virtual Desktop Infrastructure) technology it enables the use of server based (instead of workstation based) desktop sessions for delivering applications to end users. We all had to wait for a long time until VMware extended its VDI product View (now: Horizon) to also include session brokering to Windows RDS (Remote Desktop Session) hosts. With Horizon 6 we finally have a compelling competitor to Citrix's XenApp! Just like the legacy vSphere Client the unbeloved Web Client is also extensible through plugins. The PowerActions for vSphere Web Client fling is such a plugin and it enables you to run custom PowerCLI scripts from the objects' (VMs, hosts, etc.) context menus. This opens endless possibilities to integrate all the automation scripts that you (or someone else from the community) has already developed (or will develop in the future) into the Web Client. I strongly recommend trying this out, but please be sure to carefully read the system requirements and the comments on the fling page: Only Powershell 2.0 and .NET Framework 4.0 are supported, and in some cases there seem to be issues and workarounds needed to get this installed and running. Do you have a good idea for a new fling that could help you (and others) to solve a challenge that you have with VMware products? 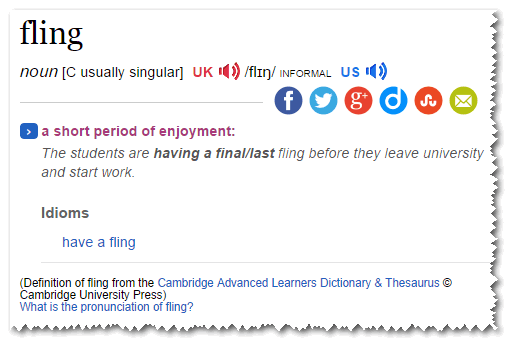 Then have a look at this year's fling contest and submit your idea there! The Fling Contest will be open until November 14th. The winner will be awarded with a free ticket to next year's VMworld, and he will be picked by a jury. So it will not necessarily be the idea that gets the most votes, but I'm sure that this will have some sort of influence on the jury's decision. Have fun browsing the contest entries, and good luck to anyone who submitted an idea!